Head lice are easily transferred between children, so you want to get any lice infestation in your home handled quickly before they spread to any other parents’ children. 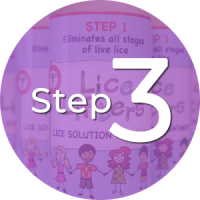 At Lice Lifters Palm Beach Gardens, we offer a fast, effective and affordable solution to the problem of head lice that’s so effective that it’s recommended by many pediatricians and school nurses. Our location is also convenient to you if you live in or around Hobe Sound. Please fill out the contact form on this page, and we’ll make an appointment for you at your earliest convenience. At Lice Lifters Palm Beach Gardens, we have a lice treatment that’s been refined over the years to become the safe, fast and effective process that it is today. When you arrive at our lice salon with any loved ones you believe are infested with lice, we’ll first verify if this is the case with a combing head check. Upon spotting them, one of our certified technicians will remove lice and their eggs, or nits, by doing a comb-out. The most thorough comb-out may still miss some lice or nits, and since this can mean infestation will recur, we finish the treatment by applying an all-natural, non-toxic killing agent that’s deadly for lice but perfectly safe for your family. We can only help you or any loved ones who may have head lice if you come to our lice clinic, so we can handle this problem for you. This critical step physically removes the lice and nits from your hair and scalp. 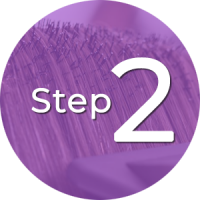 Our lice technicians are highly trained in the use of a lice comb. It’s possible that some lice may be missed in the comb-out. This is why we finish with an all-natural, 99.9 percent effective killing agent on your hair and scalp. If you live in the Hobe Sound area and you need a proven lice removal process for anyone in your family, you don’t need to look any further than Lice Lifters Palm Beach Gardens. Our treatment is so effective that we’re recommended by many school nurses and pediatricians. As critical as it is to have a treatment that works, we don’t stop there. We’re also conscientious about providing an environment for customers just like you that is professional and welcoming. We are a family-friendly business and have plenty of diversions to keep you and your children occupied while awaiting treatment. We provide a kid-friendly and professional environment. Unlike mobile services, we use a liquid killing agent. Our killing solution is 99.9 percent effective at killing the lice and their eggs. We can treat all your infested family members at once. You are all done in a single visit. Experienced and certified lice technicians. Our proven treatment process that gets the job done quickly and easily. Cable TV, movies, snacks and a children’ play and coloring area while waiting. 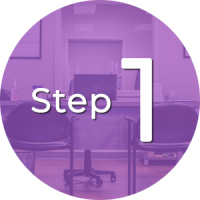 Post-treatment instructions that are easy for you to follow. We help you avoid this problem again with education on prevention.